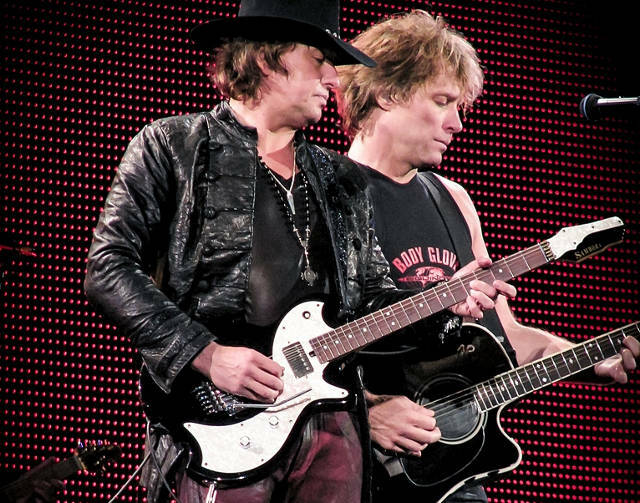 Richie says “Jon needs to keep quiet” and Jon says the door is always open, but will Richie Sambora appear at Isle of Wight Festival next week? With the IW Festival fast approaching, mystery surrounds the ‘disappearance’ of Bon Jovi guitarist Richie Sambora after he allegedly walked out on the band. Even after Jon Bon Jovi said on the Ellen DeGeneres’ US TV Chat Show that Richie was still part of the band, there was confusion, not to mention speculation, surrounding the event. Evidently, a message on the official Bon Jovi Website muddied the waters further. It stated the guitarist would not be participating in either the European or South African legs of the band’s World Tour, ‘What About Now’. Accordingly, it looks as though Richie will be a no-show at the IW Festival at Seaclose Park, this month. “The door is always open”. Meanwhile, with ticket sales for the Madrid concert being sluggish Jon announced he would waive his fee, citing the economic position in Spain. Therefore, the ticket prices were lowered for fans. Bus firm in the know? Locally, we have noticed that Southern Vectis have the Festival advertising art work on one of their buses depicting just Jon. Do they know something the rest of us don’t? 5 Comments on "Isle of Wight Festival: Jon Bon Jovi vs Richie Sambora"
Aye right you are.. But I wont be there ! Amazing guitarist yes, but he is not Richie. It is Richie who I have followed since the 80’s, and it is Richie and his music I go to see! Would another amazing front man, and they are out there, be able to just take Jon Bon Jovi’s place! SAME!!!!! Phil X may be a great guitarist but he could never replace Richie. Richie was my favorite member since Bon Jovi started and always will be. I hope that things can get better so Richie can come back to the band. In my opinion Bon Jovi won’t be as good if Richie isn’t in the band. I saw them at Cardiff they were great Bon Jovi are the songs and the man…yes Samboa is a fantastic guitarist but Phi X does all the solos with style and the experience is still,the same.